We are committed to the growth of young artists. Imagination International, Inc. is a company driven by creative people who want to build a community of empowered artists and makers. By actively developing and distributing quality creative supplies, our team expands the frontiers of art. The future starts with our commitment to Youth Education. As a company founded by art educators, teaching young artists how to use a tool in a new way to make a personal, unique artistic creation gives us a deep joy that keeps giving. "For teachers, we have many products that are relevant to building creative exploration. Please take a moment to explore our brands and how they can change a student’s creative process. You can download free lesson plans as well as contact us directly for special educational pricing. We look forward to helping you inspire the next generation of artists." Many schools are entitled to our exclusive educator pricing. What is Thibra? Designed for making costumes and sculptures, Thibra is an artist-grade thermoplastic that can be slumped, formed, or sculpted. Students love the instantly rewarding experience of sculpting with Thibra thermoplastic. Shape and mold soft Thibra with bare hands or standard sculpting tools. Hardens in seconds when dipped in cool water. Completed projects paint easily with acrylics and retain fine details without being brittle. Kids love quickly making their ideas come to life with Thibra. Teachers love that no scrap is wasted (watch this) and mistakes can be reheated, no kiln needed. Heat with a heat gun or hot water, at 120º Thibra softens into a smooth plastic putty-like material. "Marianne Walker with Imagination International has introduced us to the joys of Thibra. This user-friendly material has allowed us to make everything from steampunk accessories to magic wands! The equipment and material is safe and easy to work with, and with supervision works for our special needs teens as well! We can’t wait to explore more opportunities for using Thibra with Marianne!" Would your students like to sculpt some awesome costume jewelry and accessories? Many teachers use the DIY Paint System by Tommy Art with Thibra because it is specially formulated to adhere to plastic — no primer needed! Tommy Paint is an Italian paint, specially formulated to bind to plastics without a primer. Developed for the home decor and mixed media market, Tommy DIY Metallic Paints are part of a complete system that enhances the look of any project through layers of texture, color, and finishes. Tommy DIY paints are specially formulated to stick to metal, plastic, wood, and glass without priming. Metallic details jump out more when a layer of dark Antiquing Coating is added first then colors are dry-brushed on. Metallic paint can also be used directly on plastic for a freshly-cast look. Ideal for drying with a heat gun, it will not bubble or melt when heated. Tommy metallics are extra thick and made to have a dimensional life of their own, drying with depth and texture not found in other metallic paints. A little goes a long way, and if needed, Tommy Metallics can be thinned with water, creating a thin patina-style coating over a larger area. X-Press It adhesives are an economical classroom choice for kids of all ages. 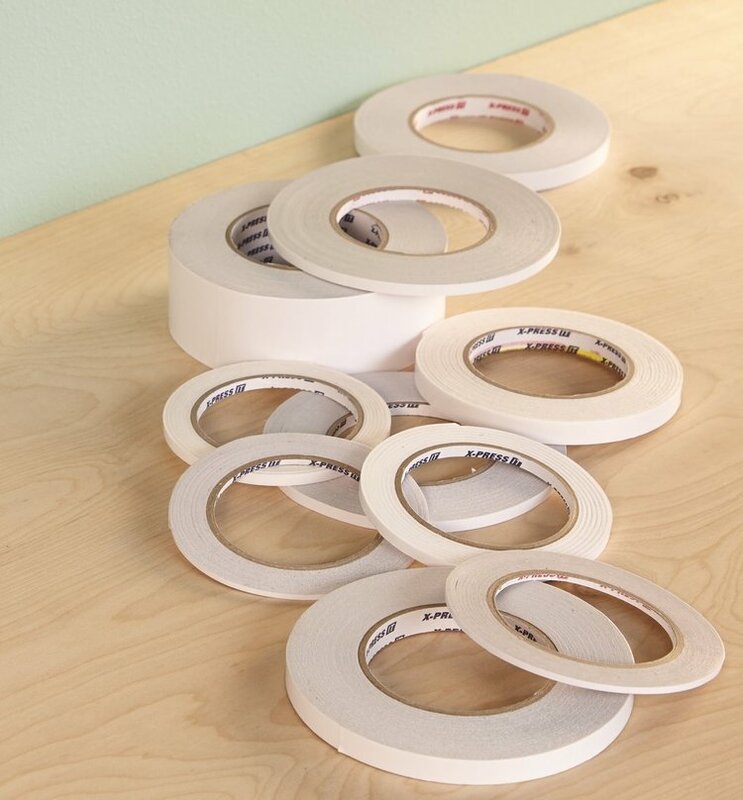 Regular and High-Tack double-sided tapes are available in sizes from ¼” up to 4” wide, as well as large mounting sheets. Tapes tear easily by hand. Many different creative products including decorative tapes, low-tack stencil sheets, glue pens, and more. 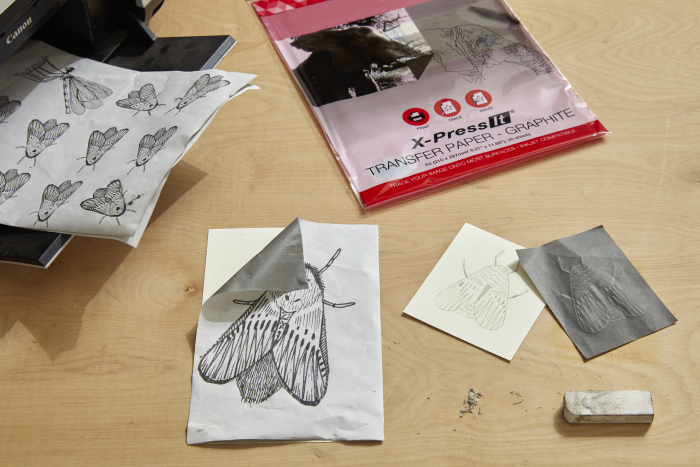 X-Press It Graphite Transfer Paper is a new twist on an old classic, being both erasable as well as working in an inkjet printer. For 20 years, teachers in Japan have used this adhesive. Now available in the US as Better Ultimate Adhesive, your classroom will love the safety and durability of Better. Better is preferred for adhering creative projects because of its strength, shock resistance, and versatility. It comes in two forms: extended dry in blue, or quick dry in gold. Teachers love that it is low VOC, so it has no overpowering chemical odor. Better also lasts longer with a two year shelf life and a clog resistant cap. All of our products are available at a discount: scultable thermoplastic, adhesives, and more. Submit your information to access a spreadsheet with your exclusive pricing, along with our most current catalog of top quality art supplies.